STOCKTON - Auto racing fans will come to Stockton 99 Speedway today to celebrate what many thought would never happen. Racing has returned to the historic track. There will be cheers, maybe some tears, and a sense that something extraordinary is happening. Tracks that close rarely re-open. But Stockton 99 dodged the wrecking ball as deftly as former NASCAR star Ernie Irvan avoided other cars at the quarter-mile oval more than 30 years ago. It took a sagging real-estate market and the hard work, passion and financial commitment of Tony and Carol Noceti to make it happen. Racing begins at 2:15 p.m. today, weather permitting. The track resumes its regular Saturday night NASCAR schedule next week. That day is also important for the organization, which has seen the number NASCAR tracks in California drop from 19 to 4 in the past 15 years. Stockton racing fan Mike Matuska, 50, understands the significance of the track's return. "It's bringing back a piece of Stockton, and it's a chance to relive memories," said Matuska of Stockton, who began attending races at Stockton 99 more than 40 years ago. He and more than 2,000 others were at the track's "soft opening" on March 14, which served as a dress rehearsal for today's grand re-opening. Even non-racing fans can understand how Matuska and other racing enthusiasts must feel. Most everyone has a special place, perhaps a restaurant, ice cream shop or other business, that harbors special memories. These days, it isn't unusual to find some of those special places shuttered. Now, imagine if one of your favorite places were closed for two years and went back into business. That's what's happening on Wilson Way, and it's going to be a party complete with squealing tires and roaring engines. The Nocetis of French Camp have earned the admiration of the local racing community by stepping up and taking over the management and promotion of the track. It was sold by owners Bob Hunefeld and Ken Clapp to land developers, but the housing market crashed and the developers defaulted. The track sat in disrepair. Some of the buildings had broken windows and graffiti, and weeds were everywhere. Trenches that had been dug into the track surface had to be filled, and the seating and lights had to be reinstalled. Tony Noceti, a farmer and longtime race car driver and owner, wanted to bring racing back to San Joaquin County. He purchased the bleachers, lights and other items from Stockton 99. He was looking for a spot to build a track in the county, but his first choice was Stockton 99. When the real-estate deal was called off, the Nocetis signed a five-year contract to run Stockton 99, and spent over $1 million of their own money in repairs and upgrades. They also had more than 300 people volunteer on weekends to clean the place since August. "The response has been awesome, and we're so grateful," Tony Noceti said. "People love this place." NASCAR officials also are thrilled to have the track back in the fold. Well-known short tracks such as Mesa Marin Speedway in Bakersfield and El Cajon Speedway have been torn down. 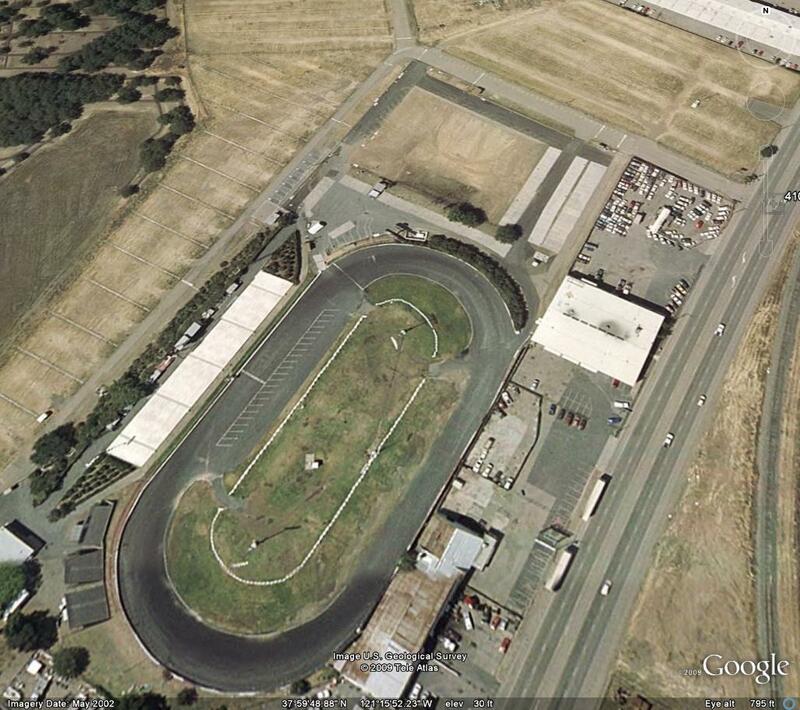 Stockton's closest competitor, Altamont Raceway in Tracy, is closed again. George Silvermann, NASCAR's managing director of racing operations, called 99 a "crown jewel" during a visit to Stockton. Built in 1947, it became the first NASCAR-sanctioned track west of the Mississippi River in 1954. The Nocetis know Stockton 99 is returning at a challenging time. The economy that inadvertently saved the track could also hinder its success as they try to draw fans against other tracks in Madera and Roseville, and locally against the Stockton Ports and Stockton Lightning. But they are ready, and so are the 99 faithful. If the weather allows, expect a large crowd today at the tough little track that found a way to survive.